April 14 is National Dolphin Day, a day to celebrate these majestic marine creatures. Just last week, we at Sundial enjoyed an entertaining show put on by a few wild dolphins just off our shore. Being on an island, we are lucky to get to observe so many dolphins in their natural habitat. In celebration of Dolphin Day, here are a few of our favorite dolphin facts and a few tips to help you see them for yourself. 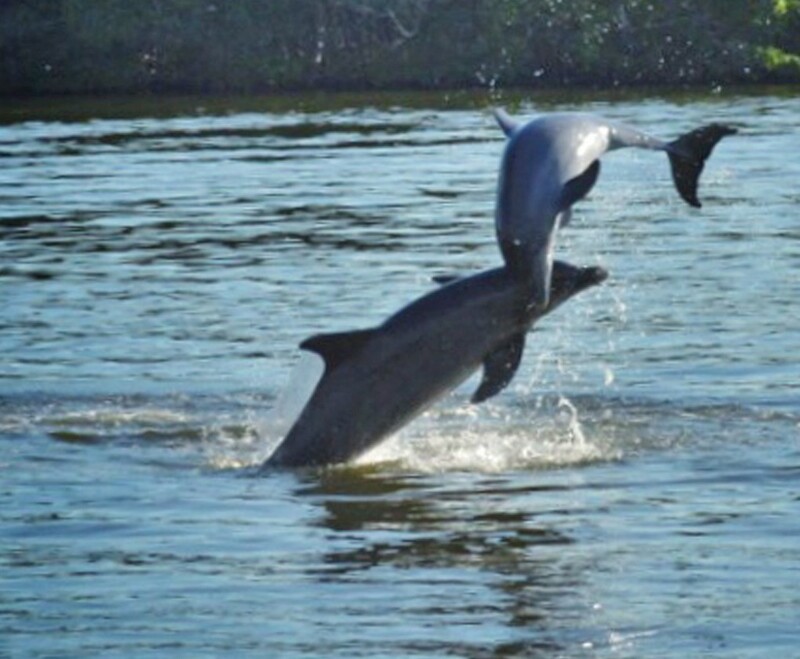 Sanibel is home to the Bottlenose Dolphin, the most common of the oceanic dolphin species. Bottlenose dolphins can grow to be up to 13 ft long and weigh up to 1,400 lbs. Dolphins are one of the smartest species on the planet, in some studies beating out elephants, chimps, gorillas, and parrots. Dolphins average about 3-7 mph when they swim but can reach up to 20 mph in short sprints. Dolphins are very curious creatures and often approach humans in the wild. Early Bird: Set your alarm! 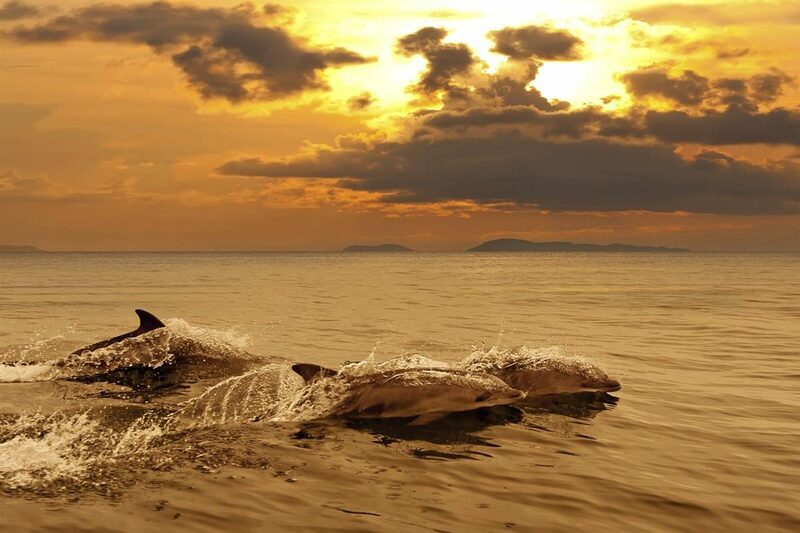 Dolphins are commonly spotted hanging out near shore during the early hours of the morning, around sunrise. Dolphin Tours: Adventures in Paradise offers a wonderful dolphin tour! Climb aboard at Port Sanibel Marina and take off on a 90-minute dolphin and wildlife sightseeing mission. The tour will take you to the best spots to see dolphins, ospreys and more. Kayaking: Grab a kayak and paddle out to where the fish are! You’ll most often find dolphins where you find schools of fish gathering. Keep an eye out for disturbances at the surface and then settle in to watch the show.